Two feet and a heartbeat! Join us in a great photo walk for photographers of all levels! Come and join us for an afternoon presentation and photowalk that's all about all things street and urban photography. Refamiliarise yourself with your camera settings, learn how to shoot on the go and discover new places in your town that you may never have visited! Walk the walk, talk the talk and shoot the shots as we venture through the streets and lanesways of our city looking for light, scenes, faces, places and happenings in our urban environment. This event kicks off with a couple of speaker sessions by street photographer, Sean Breadsell, and Seng Mah, who will be sharing their top techniques, tips and strategies for shooting street photography. 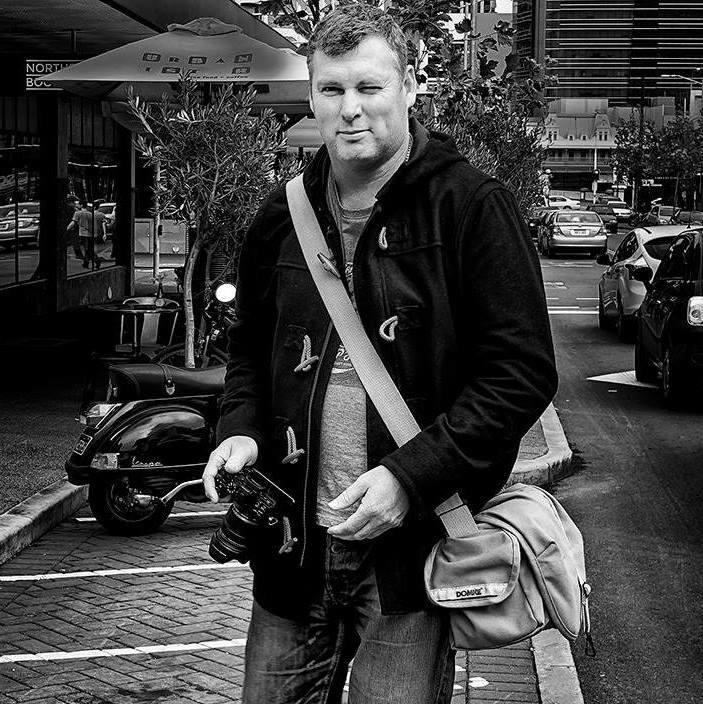 Sean shoots street in Perth and will be speaking about his experiences photographing in Perth's urban jungle. Seng will share the way he constructs stories in his street and travel photography - sharing images and tales not only from Perth, but from Italy, Greece and India too! Learn the optimum camera and lens set up for street/documentary photography and how to best set up your camera to be able to "see and shoot" instinctively, but also discover how you can adjust settings quickly to be responsive to light. Then, with Seng, Sean and the Venture Photography Team in tow, we will take it to the streets with cameras and lenses in tow. The Venture Team will be at hand to answer questions you may have about your photography and cameras, and guide you to shoot better! This amazing event is supported by Camera Electronic, who will entice you with a range of cameras and lenses for you to try, alongwith expert equipment advice to help you make the most of your photography at the event! It's a great way to spend a summer afternoon doing what you love and mingling with like-minded photographers. Bring a friend or two! We will wrap up the event at about 6pm with a sundowner at a local pub, where we can socialise and talk more photography! Don't miss out... places in this event are strictly limited! Sean is a Perth-based street photographer who has been photographing in the urban environment of perth for more than 10 years. He has publised a book on his "Streetography" as well as had his works exhibited in a number of exhibitions, including the "SHOTS Collective" exhibitions at the Moores Gallery in Fremantle and at the Ellenbrook Arts Centre. He has shot with virtually every single camera out there: Nikon, Olympus, Sony and, now, Fujifilm. You can view more of Sean's work on his The World Through My Eyes website, and also on his feature page on World Street Photography. Booking for this photo walk is managed through Eventbrite. To book your place in this workshop, click the button below.